NASA’s Goddard Space Flight Center/Conceptual Image LabAn illustration of OSIRIS-REx in orbit around asteroid Bennu. An asteroid-sampling NASA spacecraft with a dinosaur-like name is scheduled to launch at 7:05 p.m. EDT on Thursday from Cape Canaveral, Florida. If all goes according to plan, the 1.7-ton OSIRIS-REx probe — short for Origins, Spectral Interpretation, Resource Identification-Regolith Explorer — will reach a dirty asteroid called Bennu in 2018, scoop up at least 2.1 ounces of grit, then bring the largest-ever deliberately collected sample of an asteroid back to Earth in 2023. The cost of the feat? 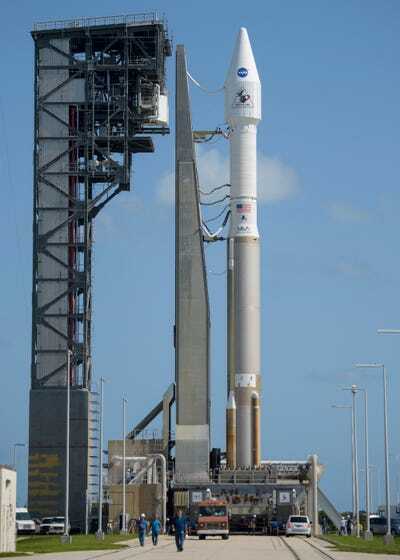 Roughly $800 million for the mission (including the spacecraft), plus $183.5 million for the Atlas V rocket launch on Sept. 8, 2016 — a total of nearly $1 billion. NASA and scientists all over the world believe it’s well worth the cost and the wait, since the tiny sample could reveal how our solar system formed and help explain how life began on Earth. Asteroids are like floating time capsules, since they’re made of the same stuff present during the birth of the solar system some 4.6 billion years ago. The space rocks spawned out of a super-heated cloud of hydrogen, helium, and dust, forming before the first planets. Aside from a handful that occasionally burn up in a planet’s atmosphere or strike its surface, they have floated around ever since, lonely and cold in the void of space. Some asteroids are also rich in water and carbon-based materials, and many astronomers think that when Jupiter formed, its massive gravity flung countless ones like this toward the sun. They rained down on the inner planets and may have carried the ingredients of life to early Earth. NASAArtist’s impression of early Earth being bombarded with asteroids. If scientists can capture a pristine piece of a dirty asteroid in space — one that’s untarnished by a blazing-hot reentry to Earth in a thud in our dirt — they’d get a chance to analyse it and see how strong this hypothesis is. 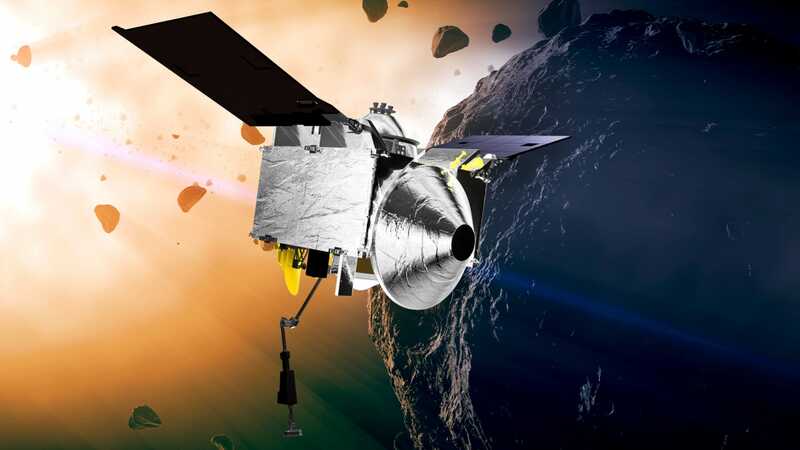 According to NASA, Bennu (the asteroid formerly known as “1999 RQ36”) is one such dirty asteroid in near-Earth orbit, or within about 121 million miles of our planet. 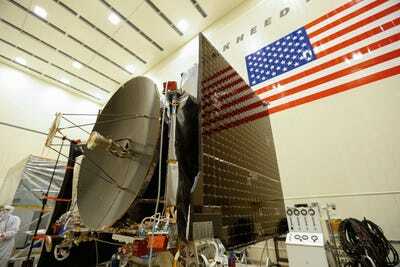 While this is closer than most asteroids, but the spacecraft likely won’t reach Bennu until 2018. Next it will scoot up close to the asteroid, extend a long robotic arm until it touches the surface, and then shoot out a blast of sterile nitrogen gas. In the chaos of flying grit, NASA says hopes to collect at least one 60-gram (2.1-ounce) sample of carbon-laced asteroid rock — about a small bag of chips’ worth of weight — in a cup-like sample container. However, the spacecraft is designed to gobble up to 2 kilograms (4.4 lbs) of dust and grit over three different attempts. 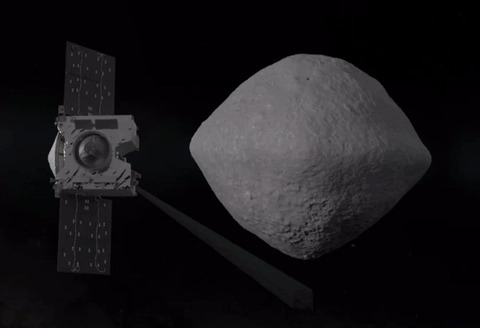 NASA’s Goddard Space Flight CenterAn artist’s concept of NASA’s OSIRIS-REx spacecraft while sampling asteroid Bennu. After it bags some crucial samples, the probe will begin a long journey back to Earth starting in 2021 and land sometime in 2023. Scientists will then spend at least 2 years subjecting the samples to variety of tests in hopes of learning what, exactly, the early solar system “tastes” like. This is assuming all goes according to plan, though. As the world was recently reminded with SpaceX’s launchpad explosion of a Falcon 9 rocket, putting expensive payloads atop stacks of fuel and oxidizer is a risky business. 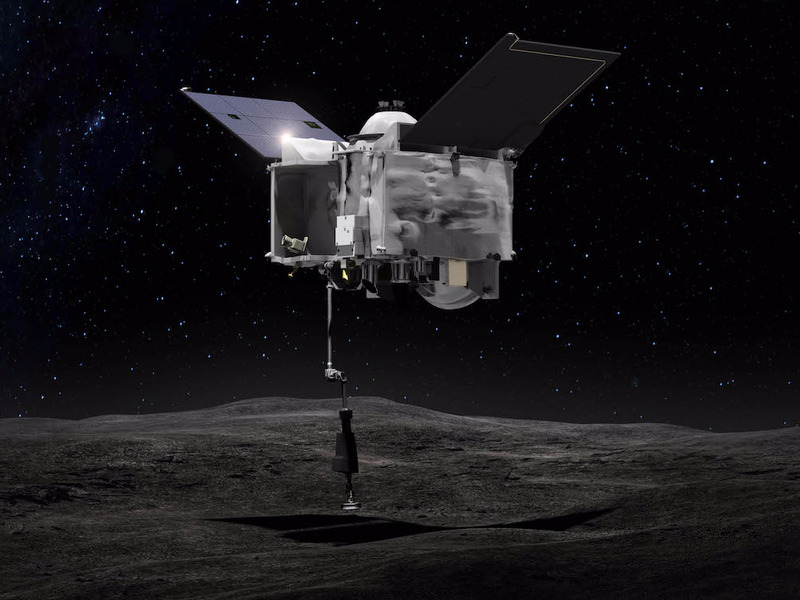 Sample-return missions like OSIRIS-REx are also notoriously complex, given the many instruments and stages required to collect something in space and bring it back safely. In fact, NASA has a limited recent track record of sample-return missions: Stardust and Genesis. Stardust’s comet-sampling mission mostly went off without a hitch. However, when the solar wind-sampling Genesis probe’s payload returned to Earth in 2004, the landing did not go well — the sample capsule crashed into a Utah desert because its parachutes didn’t deploy. 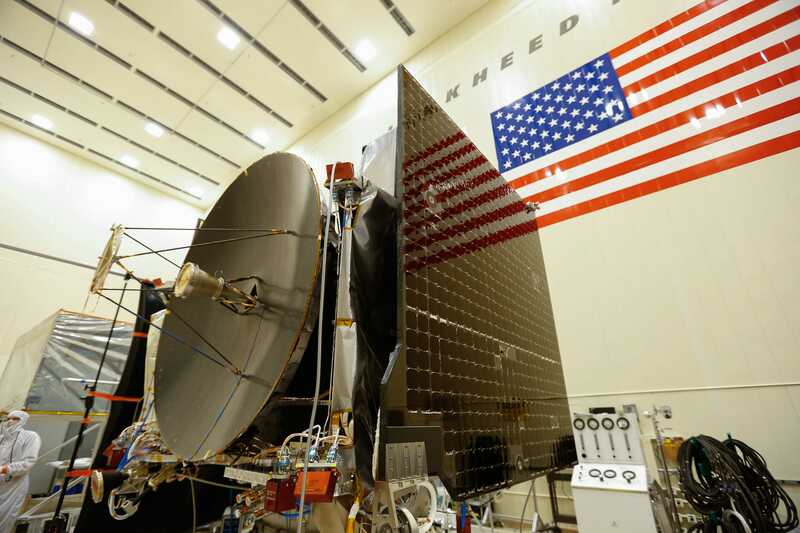 However risky the mission may be, the time has come for OSIRIS-REx to launch. Joel KowskyNASAAn Atlas V rocket in Cape Canaveral, Fla., which is capped by NASA’s asteroid Bennu-bound OSIRIS-REx probe. This mission will also act as a stepping stone toward NASA’s asteroid redirect mission, where the agency plans to rope an asteroid, tow it near Earth, and send astronauts to explore it. Kelly Dickerson contributed to a previous version of this post.